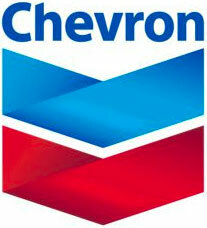 Chevron Corporation is one of the world’s leading integrated energy companies. Through its subsidiaries that conduct business worldwide, the company is involved in virtually every facet of the energy industry. Chevron is committed to investing in Iraq’s energy industry, bringing our industry leading technology, capabilities, and partnership values, while supporting local communities through the creation of jobs and the purchase of local goods and services. For years, Chevron has been a consistent purchaser of Iraqi crude oil and during times of need, Chevron provided technical studies, equipment donations, and most importantly, workforce training and development to over 250 Iraqis through Chevron’s Iraq Technical Assistance Program. Around the globe, Chevron continues to support local communities in its areas of operation with social investments focused on education and economic development. Chevron is based in San Ramon, California. More information about Chevron is available at www.chevron.com.